About two hours ago in Piazza della Scala, the small courtyard that bridges Teatro alla Scala with Galleria Vittorio Emanuele II in downtown Milan, eight thousand penitent (including OC) gathered to bear witness to Claudio Abbado's brilliant legacy -- an elegant, humble gentleman who shaped with great care forthcoming generations of mini-maestri. Lissner, Pereira and Milan's mayor Pisapia held down the theater's facade while Riccardo Chailly humbly bowed his head among the adoring hoi polloi (and many Scala employees) fringed by via Filodrammatici. The concert was streamed live on Corriere della Sera's and the Comune di Milano's websites. OC captured four minutes for the curious, clip above, photos from Corriere below. It was a very dignified send-off for a beloved maestro. The Italian/EU flags have been lowered at Teatro alla Scala's austere facade today in remembrance of Claudio Abbado, the Milanese maestro who passed away in Bologna yesterday morning at 80-years-old. Italy's newspapers have cleared front page property to detail the heartbreaking news, along with multi-page features and editorials bearing witness to Italy's beloved and cherished maestro. From his four children and a longtime friend-of-the-cloth: "He's departed for the mysterious voyage but he'll remain with us always." The last couple months, following cancellations, he had been resting at his Bologna home, surrounded by his family and friends. His family decided against a public funeral and his ashes will most likely be scattered in the garden of his adored seaside home in Alghero. In Bologna, until tomorrow at noon, mourners have been gathering at his Bologna church, Basilica di Santo Stefano, including musicians from his Orchestra Mozart. Milan honors Abbado with a concert of the Funeral March from Beethoven's Eroica with Barenboim and the Filarmonica della Scala on Monday at 6pm. The auditorium will be kept empty with doors open to the streets -- a message that would have been supported by Abbado, who was always on the public's side and carried a deep sense of social responsibility. It's a La Scala tradition as well, reserved for ex-musical directors, as Abbado served from 1968-1996. The last time was in 2005 for the passing of Carlo Maria Giulini. Through elegance, wisdom and temperance, Abbado impressed emerging generations of talented conductors. Remembrance pours forth from colleagues and friends such as Zubin Mehta, Daniel Barenboim, Riccardo Chailly, Antonio Pappano and Riccardo Muti (we'll get to that in a bit). At ten-years-old, while WWII brought on a resurgence of "Viva Verdi" patriotism, Abbado was crazy for Bartok and was caught writing "Viva Bartok" with chalk on his house in Via Fogazzaro, which began an inquest by the Nazis who read the graffiti as a partisan message. During the war, Abbado's mother adopted the son of Jewish friends who were hiding-out in Switzerland, under the guise of a long-lost 'cousin'. He was eventually caught but saved by an Italian SS who was trained by Claudio's Sicilian grandfather. Abbado, who held Furtwaengler in the highest esteem, treasured his Berlin years as von Karajan's successor. With the Berliner, he was regarded as a 'father figure'. Because of his taciturn, sage-like calm and his deep spirituality, many colleagues turned to him with personal problems and advice -- 'the psychologist' they called him. Growing up with impressions of Furtwaenger was a dream. The most moving moment in those years was when Furtwaengler's widow Elisabeth had attended a Lucerne concert, and in anticipation of an upcoming Geneva concert, she wrote Abbado a letter. "As the successor of my husband, I invite you to live in my house." To see himself addressed as "the successor of Furtwaengler" written by Elisabeth was a proud moment. Young Abbado played with a chamber orchestra founded by his violinist father. His parents went often to Toscanini's house in Milan (on via Durini) because his father's teacher was Enrico Polo, an in-law of Toscanini and the pupil of Brahms' most loyal friend, Joachim. One night, Claudio played at Toscanini's house, conducting from the piano while playing a Bach concerto. Afterwards, Toscanini wrote him a note, "You will be very successful.". Abbado would go to Scala to catch Toscanini rehearsals: "I remember rehearsals were really tough and he treated the orchestra terribly. 'Dogs' was the reoccurring phrase that he used often. Toscanini had a really strong personality, he knew how to discipline an orchestra. But already I had more appreciation for Furthwaenger, who gave deeper significance to every note, and knew how to elicit a more democratic participation." In addition to recounting Abbado's greatest anecdotes, no one's forgotten about the circus of Abbado's first bid for a Milano-Scala comeback in 2010 after his last appearance with the Vienna Phil in 1986. In exchange for the two 2010 summer dates, he asked Milan's then-current mayor, Letizia Moratti, for approval to plant 90k trees around the city as a gift of green sustainability backed by the seasoned blueprints of Renzo Piano, a longtime friend. It was totally shot down. The two dates were cancelled but Abbado eventually made his comeback concert in October 2012 with Chopin and Mahler. Grey Milan still has its green pockets but there's no living memorial to Abbado. Claudio Abbado has passed away this morning in Bologna at 81-years-old. Uttterly elegant and exuberant on the podium, he recalled his first moment hearing live opera as, "the discovery of new magic". The Milanese maestro, a man of deep humanity and artistry, leaves a legacy that rivals heavyweights Furtwaengler, Karajan and Kleiber. We'll be forever charmed by his immense Beethoven, Berg and Mozart, his eternal Verdi Boccanegra and his spellbinding Mahler symphonies -- especially the Ninth, below, with the Mahler Chamber Orchestra. Sustainability and solidarity. Abbado, who beat stomach cancer in 2000, was a gentle-mannered maestro who supported numerous outreach programs but never used the podium as a soapbox. He fostered young musicians in Cuba and Venezuela, and had an intuition for tappingg young talent, like Daniel Harding and Gustavo Dudamel. He treated his musicians with deep respect and founded numerous youth orchestras to train young musicians, such as the Bologna-based Orchestra Mozart in 2004 and the Mahler Chamber Orchestra in 1997. Before social responsibility was a marketing tool, he carved deeply into environmental advocacy. In 2010, in anticipation of a La Scala concert after a 16-year-absence (he was fired by the orchestra in 1986 and prior to 2010, his last performance at Scala was in 1993 with the Berliner Philharmoniker), he squared-off with Milan over a tree-planting proposal in lieu of a paycheck. With architect Renzo Piano, he sought to seed 90,000 trees across Milan, which was pitifully shot down by then-mayor, Letizia Moratti. He led a music directorship at La Scala from 1968 to 1986 and founded the Filarmonica della Scala in 1982, then led the Wiener Staatsoper from 1986 to 1991. He also served high ranks at the London Symphony Orchestra, the Chicago Symphony Orchestra and the Wiener Philharmoniker. Post-Karajan wth the Berliner Philharmoniker, Abbado's open framework and selflessness redefined the conception of modern maestro. His death follows recent 2013 cancellations, which included an October Japan tour with the Lucerne Festival Orchestra and November concerts with the Mahler Chamber Orchestra and the Orchestra Mozart. Last year he was granted Senator for Life by the President of the Italian Republic for his significant contributions to classical music. In the twilight of the most elegant maestri -- one shade from Von Bulow and Kleiber and de Sabata -- may Abbado's best lessons endure for the young lions roaring around the hallowed concert halls. We can only hope that Abbado finds peace in 'the silence that follows the music'. Here's a a great two-hour documentary on Abbado, in Italian. It's the title of a 1996 Abbado documentary by Paul Smaczny that captured the deep artistry of the Milanese maestro with the Berliner Philharmoniker among interviews with colleagues and lifelong friends such as Barenboim, Boulez and Mehta. And you can see it for yourselves in this YouTube clip above of the forty seconds of magic that followed a summer 2012 Mozart Requiem Mass in Lucerne after the final Lux Aeterna. Wait for it (or the impatient can skip to minute 5:25). You can find the whole work here. La Repubblica reports from last night's concert at Bologna's Teatro Manzoni, where Dutch master Bernard Haitink stepped in for an ailing Claudio Abbado. The concert -- Beethoven's Pastorale with Abbado's very own Orchestra Mozart (founded by Abbado in 2004) and Pollini's Imperatore -- exited to a solid review, but we wouldn't expect any less from a Pollini/Haitink monolith. Although Haitink's Beethoven was 'austerely conducted with purity' and 'without bucolic rhetoric', the concert was dampened by Abbado's absence following cancellations of key fall dates. 'La salute del maestro preoccupa,' said La Repubblica, 'the maestro's health is troubling', the evening a stark departure from Abbado's last appearance in Bologna over the summer in a jubilant concert for the Italian president Giorgio Napolitano. [UPDATE: DECEMBER 4]: Abbado's donated his honorary Senator for Life award to the School of Music in Fiesole, which will go to fund scholarships in a bid to recruit new talent of future generatons. He was awarded the title earlier this year by the President of the Italian Republic for his significant contributions to classical music. Claudio Abbado's just been announced as a Senator for Life by the President of the Italian Republic in recognition for his significant contributions to classical music. The award -- "for outstanding patriotic merits in the social, scientific, artistic or literary field" -- also recognized Renzo Piano, Carlo Rubbia and Elena Cattaneo. Abbado joins Arturo Toscanini as a past awardee. Next week, Claudio Abbado and Orchestra Mozart go to Ravenna to play a Mozart/Beethoven concert for the 22nd edition of the city's classical music festival. Such a unique event sold out quickly and Ravenna's now opening the doors to a Monday, June 6 rehearsal at Ravenna's Palazzo Mauro de André for free (doors open at 6:00pm). You only have to sign up and present a "Facebook Fan Festival Card" that you can get here. Letizia Moratti, Milan's Mayor already said on the record (see video above) that she thinks Renzo Piano's and Claudio Abbado's project to plant more trees in downtown Milan is too expensive. Despite city hall's opposition to the project, though, Corriere della Sera reports today that some corporate sponsors -- Coca Cola is ready to pitch in, for example -- are trying to find the necessary 10 million euros. The mayor would approve a much smaller plan for Milan's downtown (from the cathedral square, Piazza Duomo, to the Castello Sforzesco): 150 trees instead of the 3,500 in Piano's detailed plan (see drawing below). Trees -- as Reynaldo Arenas wrote -- have a secret life that is only revealed to those willing to climb them. Italo Calvino knew that, too. That's why it was so thrilling that Claudio Abbado had requested that thousands of trees be planted in Milan, his native city, before he came to conduct, again, at la Scala (he'll appear at the opera house in June to conduct Mahler's Second Symphony). And how cool was it that Renzo Piano himself had dreamed up a plan to make Milan much greener? Sadly, Milan's city government has very lamely decided that the Abbado-Piano plan is apparently too expensive, and it has therefore been sunk, as Corriere della Sera reports today. Renzo Piano explained today in the Milanese paper how his plan would have changed the city, made it better, gentler, not simply greener. "Peccato", is the final word of Piano's essay -- it's a pity. But it's more than that -- it's a shame, really. Shame shame shame. Abbado & Haneke's "Lulu"? Yes, Please! Claudio Abbado, in the latest issue of the Italian music magazine Classic Voice -- the story is not online -- anticipates his latest project: the 76-year old Milanese maestro, a Michael Haneke fan, was so impressed by the Austrian director's film, The White Ribbon, that he's thinking of a future "Lulu"... conducted by Abbado and directed by Haneke (Haneke directed in 2006 a "Don Giovanni" in Paris sadly conducted by Sylvain Cambreling, probably the worst professional conductor who ever appeared in first-rate venues). The project's still in its infancy, but the most astonishing part of the interview is that Abbado, who'll come back to la Scala this coming summer after a long absence (he'll conduct the Scala orchestra in Mahler's Second), does not deny that he could even conduct this production at la Scala. As of today, this seems to be little more than an idea, but quite obviously, an Abbado/Haneke production of Lulu at la Scala would be the most exciting opera production since... the Boulez/Chereau Ring? There are so many reasons why Claudio Abbado is so unique, and his genius is so precious to everyone who loves classical music. The Moravian mezzo is flawless -- range, colors, phrasing. The volume isn't huge. She's slightly on the cold side, and Abbado treats her the way a gracious host does with an important guest, then in Ich bin der Welt he takes her hand and it's a beautiful moment. For them, and for those in the audience who have ears to understand. Abbado rightly worships Wilhelm Furtwaengler, but Opera Chic bets that, when history is written, Abbado's name will appear alongside Big Willy's -- and a couple others, maybe Von Bulow, and/or Karajan, and/or Carlito Kleiber -- as one of the greatest conductors classical music has ever seen, and people will argue over who is the greatest. But it's hard to argue that Abbado isn't the warmest. Abbado On Cuba: What Human Rights Violations? After President Obama's opening to Cuba, it was quite natural for the media to ask supporters of the Cuban government their opinion on Washington's new policy. «I think certain aspects of their system are admirable and that many critics don't know the facts. In Cuba, for example, the educational system is admirable, a model for all. But nobody says this. Do you know that medicine is one of Cuba's biggest exports? And many go to Africa, free of charge. But no one writes about this». «Ma dove? Quali? But where? 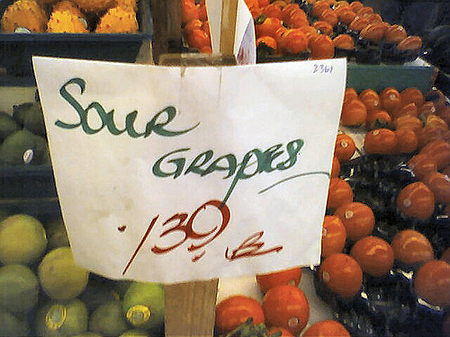 What?». Now say what you want about Claudione's politics -- personally Opera Chic doesn't care one bit, really, what musicians think about stuff, and for the record her views on the Cuba matter are that despite Castro's obviously inexcusable policies the US embargo is even worse than silly, it's ineffective, and she fully supports President Obama's very welcome policy change, and then some -- but Maestro Abbado at least didn't stop in the middle of a concert to express his views (views that by the way seem to go against the grain of Human Rights Watch and Amnesty International, among others -- not simply against those of the Wall Street Journal's editorial board) between movements of a Mahler symphony. Claudione understands that the podium is not a bully pulpit; he certainly has more brains -- and better manners. Corriere della Sera reports today that Claudio Abbado's history-making comeback to la Scala after 16 years (the story broke yesterday, see here) will happen in June 2010: three dates -- one of which will be reserved to young people, probably students and others under 26 -- and a program made of Gustav Mahler's Eighth Symphony, to be performed by la Scala's orchestra and Abbado's own Orchestra Mozart. Milan-born Abbado will be at la Scala next Tuesday to sign the contract, and he might even catch, Corriere writes, the premiere of Il Viaggio a Reims that night. Daily newspaper Repubblica reports today that Claudio Abbado, former music director of la Scala fired by the orchestra in 1986, who hasn't conducted again the Scala orchestra since then and who had only sporadically conducted at la Scala in later years, and always with guest orchestras (his last appearence at la Scala took place in 1993 with the Berliner Philharmoniker), will return to la Scala to conduct a concert later this year next year. Abbado had asked city authorities to plant 90,000 trees as a form of payment for his Scala gig; city authorities approved a tree-planting plan, and Abbado has said yes, he will indeed appear at la Scala. Besides the all-too-present drama of singers pulling out of shows, singers being fired, singers being booed off the stage, singers being kept away from the premises by the police, political backstabbing, conductors fired by the orchestra, frequent strikes, and general feverish unrest, Teatro alla Scala has a historical penchant for generating massive beefs between artists, conductors, managers, etc. Far from being a recent phenomenon -- Callas snubbed by the then-GM, Tebaldi harassed until she went off to San Carlo and the Met, Freni and even Pavarotti savagely booed by the loggione, frequent guest conductor Herbert Von Karajan eventually snubbed in favor of, all people, Karl Böhm, etc etc -- the situation has gotten worse since Claudio Abbado left as Music Director in 1986 and his successor Riccardo Muti left in 2005, both voted down by the all-powerful orchestra. The Milan-born Abbado came back in the late 1980s and early 1990s as Music Director of the Berliner Philharmoniker and successor to Herbie Von K., probably the swankiest job in classical music -- always with other orchestras -- but he has never conducted the Scala orchestra again. He hasn't been back since the early 1990s due to a series of problems he had with the administrators back then. Abbado has since turned down every opening, every invitation to come back to his native city. Riccardo Muti, well, after the early 2005 drama he has become a highly paid freelancer -- Vienna, Paris, London, Rome, Moscow, Tokyo -- a guest conductor in New York and future Music Director of the Chicago Symphony Orchestra, besides his usual summer commitment in Salzburg and the directorship of the Whitsun Festival in Mozart's hometown and the directorship of his youth orchestra, the Cherubini. Both have apparently been asked by the current General Manager Stephane Lissner, who has never worked with either conductor, to come back to la Scala (the dream scenario, as Scala gossip has it, would apparently have been a Abbado Magic Flute and a Mozart/DaPonte opera with Muti). Abbado, famously an opponent of the current conservative city government of Milan, has just answered that he will come back for free, only if the city government plants 90,000 new trees. (The cost would apparently be around two million euros). The project's feasibility? Kind of up in the air. Which, frankly, seems to be the point of Abbado's request. "Mr. Lissner says he would like to meet me. But he never called me. No phone calls, no letters. I don't know him. He told a story of an encounter we had in Paris back when I was music director of the Philadelphia Orchestra, but I met many people, I have no recollection of such an encounter. It must have been a very quick episode. I expected at least to receive a letter, as a courtesy, when he arrived at la Scala, since I had spent so much time in that theater. But not even that." "Maybe someone told him that I moved to an igloo; but I really think he knows I don't live too far. I'm often in Piacenza, with Orchestra Cherubini... I don't know what he is waiting for. 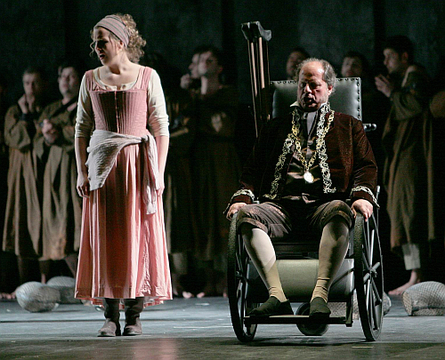 He lost a chance to meet me in Salzburg, where he saw the Otello I conducted there. Salzburg's Jurgen Flimm told me he had asked Lissner to come see me, but Lissner never came"
Abbado is 75. Muti is 67. Lissner is 55. Abbado and Muti are -- if not the two best -- two of the very small roster of the best conductors out there. Lissner is running the most famous opera house in the world, and one of the oldest. But this I want a forest!, bring me flowers and send me fan mail, no I won't, is totally high school, all over again. Classic Voice: Claudio Abbado's Hommage To "Gomorrah"
Classic Voice magazine has a great interview with Claudio Abbado who, among other things, reveals that he's an admirer of Roberto Saviano, the best selling writer of "Gomorrah" -- you should also check out the movie, it's a masterpiece -- and for this reason the always politically engaged Abbado will dedicate his 2009 concert in Naples with his Mahler Orchestra to Saviano. The writer is living in a secret location and is under police protection 24/7 after mafiosi sentenced him to death for having revealed the truth about them in his book. It's crunch time at Teatro Regio di Parma because the 08-09 season is about to start: Claudio Abbado on Dec. 1 will lead the Mahler Chamber Orchestra in a sweet all-Beethoven night, the Eroica and the Violin Concerto in D Major op. 61, Isabelle Faust soloist. To be followed two days later by a Radu Lupu piano recital, Beethoven/Schumann. The new opera season begins in the name of their local hero Giuseppe Verdi: the season opener on Jan. 13 will be I Lombardi alla prima crociata, with Dimitra Theodossiou, Francesco Meli & Michele Pertusi, conducted by Daniele Callegari; the staging is by Lamberto Puggelli (dir), Paolo Bregni (sets), Santuzza Calì (costumes). Lucia di Lammermoor (opens on Feb. 19) will be directed by Denis Krief, Dèsirèe Rancatore as Lucia, Roberto Aronica & Gabriele Viviani. Alberto Fassini's staging of Tosca will open on April 2 with Marcelo Alvarez, Michela Carosi & Marco Vratogna under Massimo Zanetti's baton. Abbado's rehearsal technique is another world from the intensity he creates in his performances. He says very little, points out tiny details of articulation and balance, and smiles almost continually at his players. The aim is not to force an interpretation upon the ensemble, but to create a chamber-music like culture of listening. The only times he raises his voice with the musicians is to say "listen to the bassoons! ", or, "play less, we have to hear the horns". Claudio Abbado: 75 Years Of Awesome. Buon Compleanno!!! As we write, it is already June 26 here in Europe, hence we want to be first in wishing maestro Claudio Abbado, who turns 75 today, the greatest of Happy Birthdays. We were discussing recently with a bunch of friends how, if you think of the three greatest conductors working today, it's really a matter of whom you choose to join Abbado in the top 3 -- it's always him and two other dudes, depending on your taste. Whether he's conducting Mozart or Berg or his beloved Beethoven or Mahler or Verdi -- the definitive Boccanegra is Abbado's, period, we might as well retire the work at this point -- he's just in the stratosphere, someone whom you cannot really compare to most of his colleagues of today but who you mostly have to compare to the greatest ever, the legends, Nikisch and Von Bulow and Furtwaengler and De Sabata -- that's how high up he flies, circling the earth like Superman. And the fact that the accidents of life have made him more scarce on the podium, these last few years, only made his presence even more precious. We bow our head in gratitude for his accomplishment, and wish him the biggest Buon Compleanno -- party party!!! Firefighters on Tuesday battled a blaze below the roof of the Berlin Philharmonic's home that sent a plume of acrid gray smoke pouring from the crest of the famed 1960s building and had musicians rushing to save their instruments. 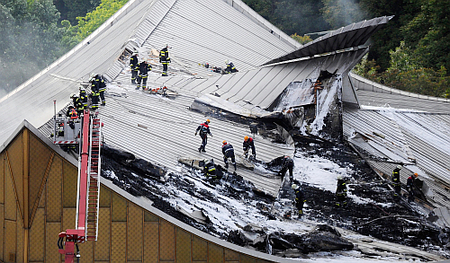 The blaze broke out beneath the roof of the building over the main concert hall. The Berliner are looking for alternative venues for the planned concerts Friday, Saturday and Sunday under Claudio Abbado. More on the Hans Scharoun-designed building here and here. More (and scary photo gallery) on Die Welt's site. Claudio Abbado is all over the Italian papers this morning -- interviews in Corriere della Sera and Repubblica -- introducing Fidelio (the 1814 version) that opens at Teatro Valli in Reggio Emilia on April 6. Amazingly, it's Abbado's first Fidelio -- "Certain operas I need to meditate over for a very long time, it took me twenty years to make Boris Godunov after all", the Milanese maestro says. 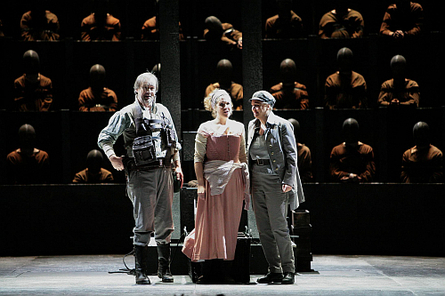 Between now and 2010 the production will also touch Madrid, Baden-Baden, Ferrara, Aix-En-Provence. It's a shame that this Fidelio has not become the occasion for Abbado's return to Milan after his dismissal from la Scala in 1986 (the orchestra, as they always do, fired him the way they had fired de Sabata once upon a time and the way they would vote Muti out in 2005): but the conductor has torpedoed all the plans to stage his comeback to la Scala with full honors, and has repeated even in these interviews that he has no plan to ever return to Milan (the city has been run by a center-right coalition and a center-right mayor since the mid-1990s, and Abbado is famously very liberal, not to mention, for the bafflement of many of his friends, a big Fidel Castro fan). Anyway there's something to be said for a guy who, after the kind of monster career Abbado has had and after his illness and all that still has the passion to simply go to the movies -- in this case, Vier Minuten -- and halfway through the film to simply think, this director is perfect for Fidelio; then call the director Chris Kraus -- a opera n00b -- and make it happen. Abbado explains how, when the director has the correct understanding of an opera's dramatic structure, being inexperienced in musical theater is not really a problem for a director. And, more importantly, Abbado explains, Kraus "makes the singers act like real actors". Another very nice touch is that, this coming October, in Bologna, Abbado will conduct Berlioz's Te Deum in a 5,000 seats hall with a monster team of three orchestras -- his Orchestra Mozart, the Orchestra Giovanile Italiana di Fiesole, and Riccardo Muti's own Orchestra Cherubini. they have never hated each other as much as the factions (everything in Italy is split up in factions, it's a centuries-old thang) of their rabid fans would have hoped -- or liked. So give it up for this pact, in the name of Berlioz, between the two greatest Italian conductors working today, certainly two of the very greatest maestri ever to step on a podium. 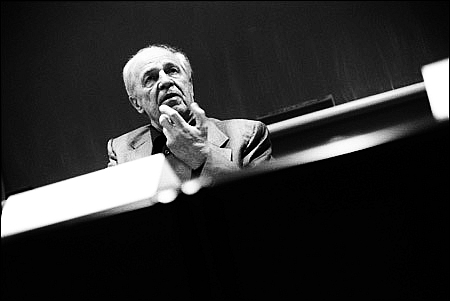 Pierre Boulez will replace Claudio Abbado as conductor of Mahler's Third Symphony with the Lucerne Festival Orchestra on Oct. 6 at Carnegie Hall. No word yet on the replacement for Abbado's two performances of Oct. 3 and 4.